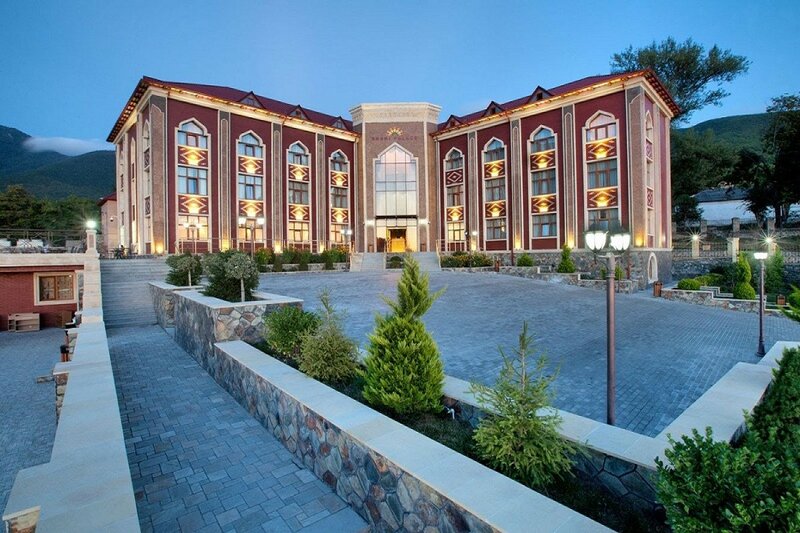 Offering a restaurant and a fitness centre, Sheki Palace Hotel is located in Sheki, 50 m from Kahn Palace. The property features a sun terrace. Free Wi-Fi access is available. A bus stop is located 50 m from the property, and train station is a 30-minute drive away.